George A. 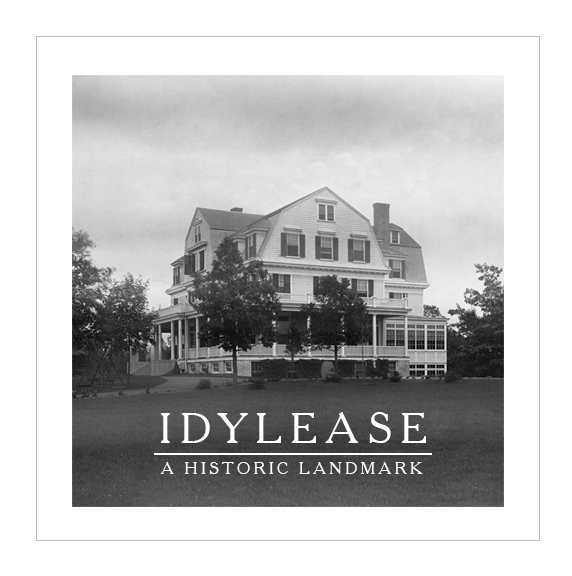 Day Served as General Manager of Idylease from 1904-1920. All rights reserved, may not be reproduced. Early in life the Day family developed very close relationships and remained so throughout their lives. One of the family’s ties was that Dr. Edgar A. 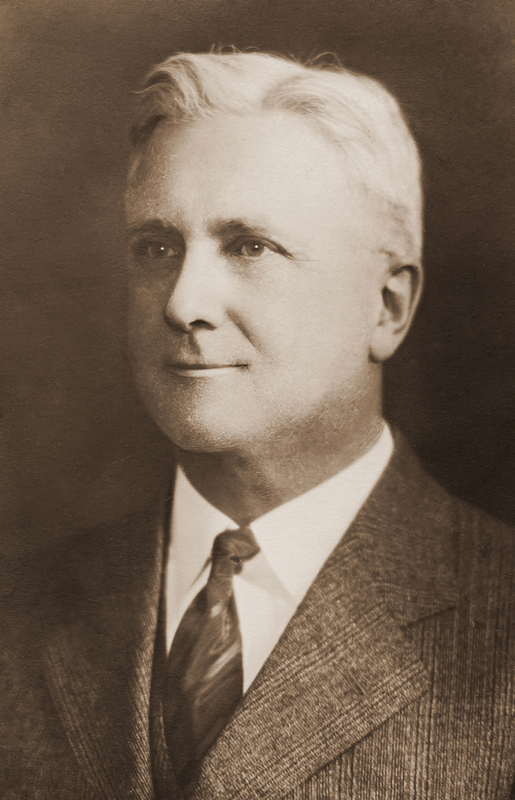 Day, who established Idylease Inn in 1902, hired his nephew George A. Day to serve as manager. 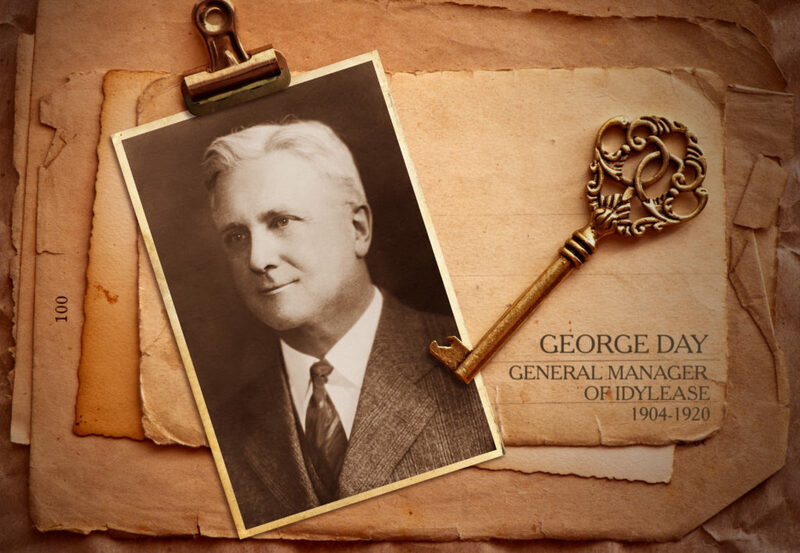 After the death of Dr. Day in 1906, George assumed the responsibility of operating Idylease Inn. About 1855, Anthony L. and his wife, Elizabeth S. Strait Day had settled on a 356-acre farm on Paradise Road in West Milford. They reared six children: Judson Frank who was called by the family members “Frank”, Alfred L., Edgar Arthur, Susan B., Mary F. and Elizabeth S. Day. They were a very close family and the parents had taught their children that to succeed in life one must be educated. Anthony L. Day had donated land for a school to be built in Stockholm. Books, newspapers, and magazines were readily available for the children to read. Though Anthony was not religious inclined, Elizabeth had deep religious convictions which she instilled in her children. Their son, Judson F. Day, became a school teacher and taught schools around the old Stockholm area. He had married Annie Eckhart, Nov. 12, 1872. Many of the families in the Paradise, Clinton and Newfoundland area of West Milford intermarried as the families developed close relationships with their neighbors. From the Grace E. Day photo collection are cameo portraits of Annie Eckhart at age 17 and Judson F. Day at age 25. Image courtesy of Beth Willis from the Day Photo Collection. All rights reserved, may not be reproduced. Annie Eckhart Day was the daughter of William and Elizabeth Post Eckhart who lived on a 200-acre farm that occupied both sides of Union Valley Road, north of Idylease. 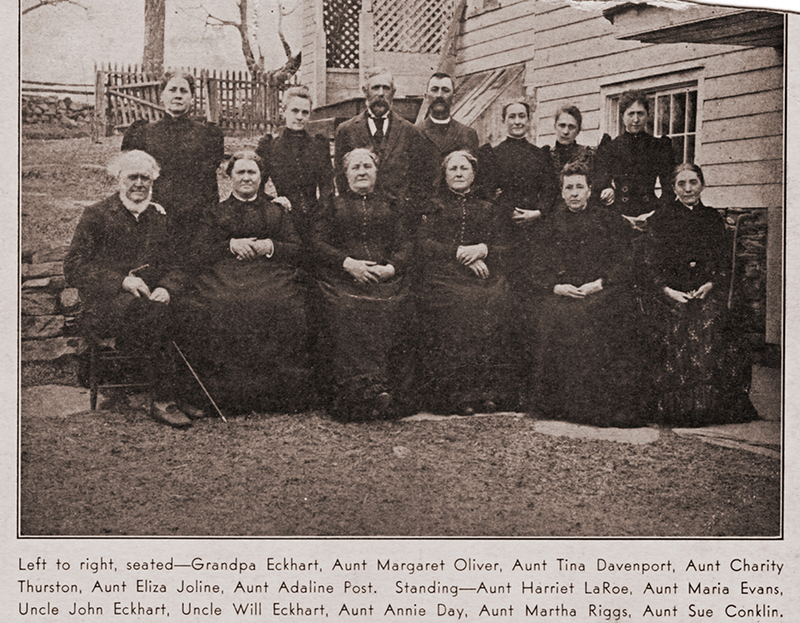 The family was listed on the 1860 West Milford Township census records as: William, farmer, age 51; Elizabeth, wife, age 50; Adaline, age 22; Harriet, age 20; Mariah, age 19; John, age 16; Anna, age 13; Martha L., age 11; Susan, age 9 and William, age 4. His property was sold to the East Jersey Water Company for building of the Clinton Reservoir. These families remained close to each other during their lifetime. In 1973, Beth Willis had the opportunity to visit with another relative, Percy C. Davenport, son of Louis N. Davenport and Lillian Crayon (daughter of Joseph P. Crayon). Louis’s father, Lewis Davenport had married Christiana Eckhart, the daughter of William and Elizabeth Post Eckhart. Photograph of the Eckhart family including Annie Eckhart Day. Image Courtesy of Beth Willis from the Crain Family Photo Collection. All rights reserved. May not be reproduced. After Dr. Edgar A. Day had the Idylease Inn in 1902, he established the Newfoundland Valley Improvement Society and the North Jersey Poultry Association. William Eckhart had served as committee chairman of the public highway of the Newfoundland Valley Improvement Society. Several of his sons were listed as members of both or either of the organizations. 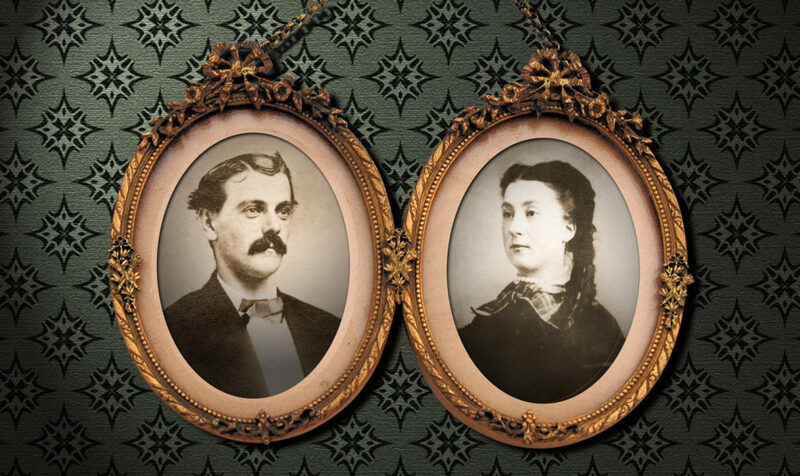 Judson and Annie had raised a family of five children: Charles F., George A., May, Robert, and Grace E. Day. Portrait of George A. Day from the Strait Family Collection. Courtesy of Beth Willis. All rights reserved, may not be reproduced. About 1874, Judson moved his family to Brooklyn, New York where he went into business with his brother Alfred. There, George Anthony Day was born on May 25, 1876. About 1877, Frank and Annie returned to the farm on Paradise Road. There is reference in the Day family history that the area was called “Burdock Point”. In 1892, Frank and his family relocated back to Brooklyn. It was here that George A. Day married May Beyer on Feb. 20, 1907. They had twins, Charlotte and Albert Edgar. Charlotte was born Feb. 10, 1910 and died Nov. 1, 1918 at Newfoundland. Albert Edgar was born Feb. 10, 1910 and married Edith Harrison, they had no children. When Dr. Edgar A. Day built Idylease Inn, he brought in his nephew George to be General Manager of the resort hotel in 1904. After Dr. Day died in 1906, George continued operating the Inn for another fourteen years. After he left Idylease Inn, George became a New York supplies manager at Remington Rand. George and May had lived in Ridgewood, N.J., where they were members of the First Presbyterian Church for over thirty-five years. George retired in 1945. When May died Oct. 12, 1952, George went to live at 1021 Alps Road, Preakness, N.J. with his sisters, May and Grace. 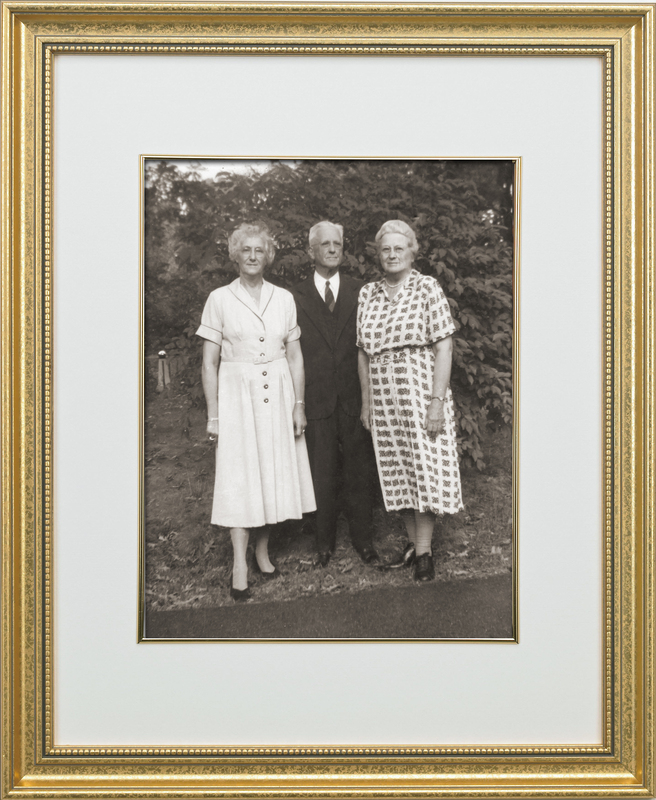 From the Grace E. Day Collection is a September 1953 photograph, left to right: Grace E., George A., and May E. Day. All rights reserved, may not be reproduced. George died March 25, 1955 and was buried next to his beloved wife, May, at the Preakness Reformed Cemetery in Wayne where they had been members of the church since living in Preakness. As with most of the Day family, George A. Day had a long productive life based on his deep religious convictions. Beth Willis is a history writer and regular contributor to the Idylease History Blog. She currently resides in Lockport, New York. Beth is the curator of the Strait, Walther and Day genealogies and photo collections. Recently, she completed a 639-page manuscript entitled, “The Inhabitants of the Neighborhood……… A Pictorial History of Snufftown, now Stockholm, Hardyston Township, Sussex County, New Jersey and its Vicinity” that includes over 900 historical photographs.